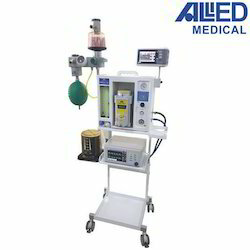 Pioneers in the industry, we offer allied eye surgery anaesthesia machine, allied ivf centers anaesthesia machine, allied boyles anaesthesia machine, allied clinical use anaesthesia machine, allied portable anaesthesia machine and allied veterinary purpose anaesthesia machine from India. Pressure Gauges Large diameter, color coded gauges fitted at convenient angle for better visibility and clarity. 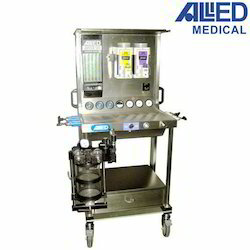 Meditec England MedLite Portable Anaesthesia System is a light-weight, compact yet feature-rich Anaesthesia System. 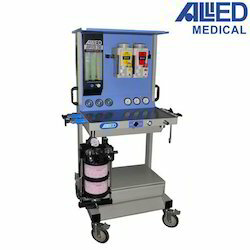 Meditec MedLite is specifically designed to provide efficient patient care in surgical locations where space is limited, such as clinics, ambulances, disaster, emergencies, veterinary clinics and remote locations. Its intuitive design offers easy handling, comprehensive patient care with enhanced performance, efficiency and safety. Anti-Hypoxic Guard: Mixing device to proportion the N2O in such a way that minimum of 25% O2 is always delivered from the rotameter. Jupiter Vet has been designed keeping in mind requirement of all kind of veterinary procedures, for small animal surgeries. It is suitable for delivering safely. 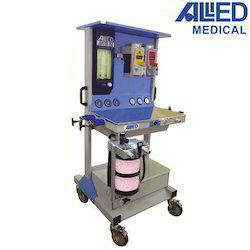 simple and controllable inhalation anesthesia to all types of animals.